The BJP chief accused the Congress of trying to appease one particular community by banning 'Vande Mataram'. He said the song did not belong to any particular community. New Delhi: Terming the Madhya Pradesh government’s decision to ‘temporarily’ stop the recital of ‘Vande Mataram‘ akin to ‘treason’, BJP president Amit Shah has asked Congress chief Rahul Gandhi if the decision was taken at his behest. “The decision of the Congress government in MP to block the recital of ‘Vande Mataram’ is unfortunate and shameful. 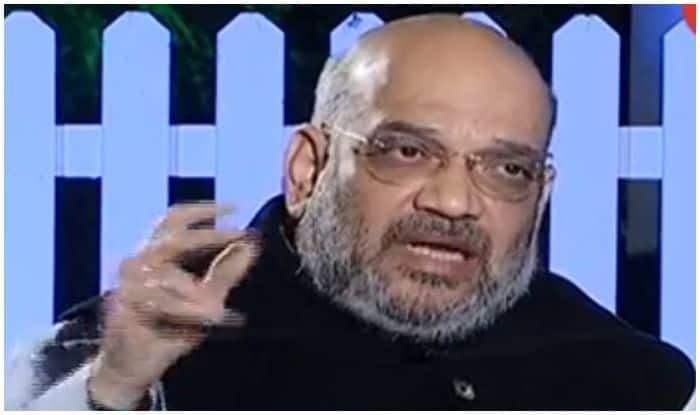 ‘Vande Mataram’ is not just a song but is the symbol of India’s freedom movement as well as an inspiration to every Indian,” Shah said in a Facebook post. “Insulting the sacrifices of the country’s freedom fighters is considered an act of treason by common citizens like me,” he wrote. The BJP chief accused the Congress of trying to appease one particular community by banning ‘Vande Mataram’. He said the song did not belong to any particular community. In his Facebook post, Shah alleged that the Congress was making Madhya Pradesh, the “heart of Hindustan”, a centre of its “appeasement” policy. The row relates to the Congress-led government doing away with the practice of singing ‘Vande Mataram’ at the state Secretariat on the first working day of the month, a tradition followed by the previous BJP government. Earlier, in the day, former chief minister Shivraj Chouhan had also attacked the Kamal Nath government and said he and all other BJP MLAs will sing ‘Vande Mataram’ on January 7. Meanwhile, in his defence, Chief Minister Kamal Nath said the practice was being discontinued for the time being and that his government has decided to implement it in “naya swaroop” (new form).